The amount of 4.22 USD has been deposited to your account. Accounts: U15359067->U4888473. Memo: API Payment. Withdraw to PBHYIPSINFO from DERGlobal Limited.. Date: 22:04 01.11.18. Batch: 234495326. The amount of 4.22 USD has been deposited to your account. Accounts: U15359067->U4888473. Memo: API Payment. Withdraw to PBHYIPSINFO from DERGlobal Limited.. Date: 22:35 03.11.18. Batch: 234709253. The amount of 6.72 USD has been deposited to your account. Accounts: U15359067->U4888473. Memo: API Payment. Withdraw to PBHYIPSINFO from DERGlobal Limited.. Date: 03:47 06.11.18. Batch: 234943545. The amount of 1.26 USD has been deposited to your account. Accounts: U15359067->U1305**. Memo: API Payment. 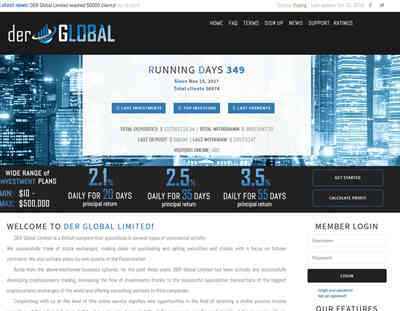 Withdraw to InvestFinBiz from DERGlobal Limited.. Date: 07:55 07.11.18. Batch: 235095634.